For any website to rank higher in Search Engine Result Pages (SERPs), it’s a common practice to employ paid link tactics and exchange programs to bolster its position. Paid-for links and exchange programs are black hat SEO techniques where a webmaster buys a backlink to his website from a better ranked and authoritative website to improvise search engine results. While search engines have issued several guidelines and modified their rules on paid links, webmasters still find a way to keep their websites at the top of SERPs by leveraging false tactics. Google’s webmaster guideline on paid links is very clear – “don’t do it” – that suggests if you do it without getting caught, you will be successful. 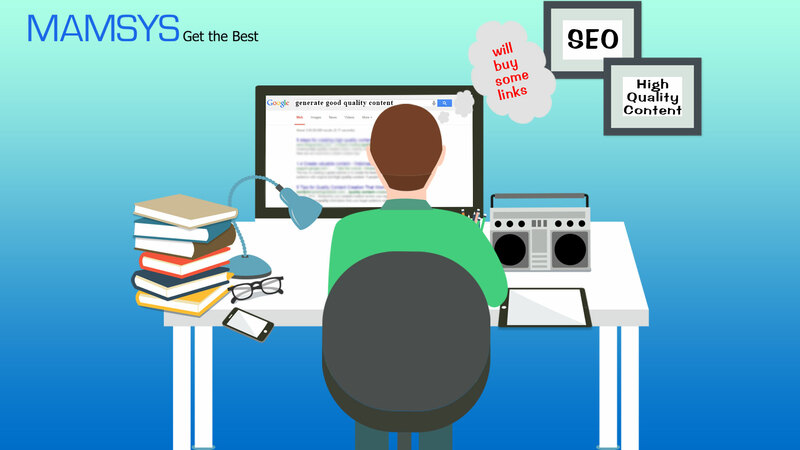 Even the biggest of white hat website owners who have unique, quality content on their sites indulge in the practice of paid-for links and exchange programs in order to secure better rankings in SERPs. While search engines have made it very clear that excessive link exchanges can negatively impact a site’s performance, webmasters know they need great backlinks to stay at the top. Paid links are easier to find than generating good, high quality content. Even so search engines have employed some significant human effort and resources to identify and eliminate paid links, it’s still not easier for them to clear the space for fair competition. Site owners and business operators mix paid links with lots of good, solid and natural-looking links that makes it very difficult for search engines to identify the illegitimate links and take cognizance. There are other practices too that paid-links provider companies follow like not listing the details of publishers or clients publicly, frequently updating their code for installation and choice of anchor texts. Businesses and big corporates need backlinks that point directly to their product or service pages. Even if you’re writing great, unique content for a website, it’s extremely difficult to get natural links from other websites that point to your sales landing page. It is at this time, when even most-trusted brands hire paid-for links and exchange program services to rank well in search engine result pages and led their target audience to webpages that matter most to their businesses. Mr. Yogesh Sharma, Co-Founder & CEO at Mamsys Consulting Services Ltd. says, There’s always a continuous fight between webmasters and search engines on paid links, and the trend is going to continue further for at least the next few years. While search engines keep modifying their rules and guidelines on how a site should rank in SERPs, webmasters keep dodging search engine analytics to stay at the top. Mr. Yogesh Sharma recommends webmasters to write good, quality content for their websites and share it on various social media sites. This will earn natural links from other website owners who may find the content unique and informative. Relevance and purposefulness are the two essentials that should be clearly visible through content to reap the benefits. It may take some time for Google and other search engines to rank your website higher in search engine result pages. However, you will definitely get a consistent rank that won’t change with new webmaster guidelines or rules. You can also hire Search Engine Optimization Services offered by reputed digital marketing company to achieve better rankings in SERPs. ← Why ITIS Managed Services are important for your company’s overall growth?